Last year Colorado, like many other states, passed new legislation that affects patient requests for medical records and the fees that may be charged for copies of the medical records. House Bill 14-1186, codified at C.R.S. § 25-1-801, with related regulations at 6 CCR 1011-1, Ch. 1, Part 5. The law changes the fees that may be charged for providing copies of records and adds provisions relating to the delivery of records in electronic format. These provisions apply to medical records in the custody of a broad range of health care facilities (see C.R.S. § 25-1.5-103(1)) , including hospitals, nursing homes, assisted living residences, and hospice. Colorado law requires that health care facilities make medical records available for inspection by a current patient or the patient’s personal representative at reasonable times and upon reasonable notice, except for certain records withheld in accordance with 45 § C.F.R. 164.524(a). A reasonable time for inspection should normally not exceed 24 hours from the date of the request (excluding weekends and holidays) for an inpatient or current resident. The patient or designated representative may not be charged for inspecting the records. 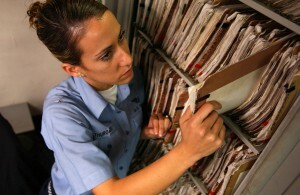 With regard to a discharged patient or resident, a health care facility must make a copy of the record available or make the record available for inspection within a reasonable time from the date of the signed request, normally not to exceed ten days, excluding weekends and holidays. However, if the health care provider or designated representative is not available to acknowledge the request, the facility shall inform the patient of the situation and provide the records as soon as possible. Discharged patients or their representatives cannot be charged for inspecting patient records. Health care facilities should be aware of certain provisions of Colorado law relating to electronic records and films. Medical records must be delivered in electronic format if the records are requested in electronic format, they are stored in electronic format, and are readily producible in electronic format. Finally, a health care facility must release the original film if a licensed health care professional determines that a copy is not sufficient for diagnostic or other treatment purposes. The amount that may be charged for medical records varies, depending upon the requesting party. When a patient or a personal representative requests a copy of medical records, the fees are set in accordance with HIPAA. Under HIPAA, a covered entity may charge a patient or a personal representative a reasonable, cost-based fee for providing a copy of medical records; this fee may encompass the cost of copying (including the cost of supplies for and labor of copying) and postage. However, health care facilities may charge third parties fees that are established under state law. Thus, the HIPAA fee limitations do not apply when records are released under other HIPAA-compliant situations, such as requests that are based on an individual’s authorization. Under certain circumstances, third parties may not be required to pay any fees or a different fee schedule may apply. If a patient record is requested under the Laura Hershey Disability-Benefit Support Act, C.R.S. §§ 24-30-2201 through 2207, the third party may obtain one free copy of the record for the application process or for an appeal or reapplication when required by the disability benefits administrator. Where a statute or rule for a state or local government entity establishes maximum rates, these rates prevail. Finally, the statutory fee schedule does not apply to coroners requesting medical records. Health care facilities should review their policies on releasing and charging for copies of medical records to ensure that they are in compliance with recent changes in Colorado law. Well, the Ebola scare is all everyone is talking about. A colleague brought up an interesting question earlier in the week: What sort of potential liability do health care facilities face from it? There are lawsuits anticipated from the family of the first victim as well as at least one of the infected health care workers who treated him. With respect to the first of those, from what I read, the potential lawsuit seems doomed. With respect to the health care workers, if the treatment protocols were as inconsistent and ineffective as claimed, then they likely will have a better chance of success under OSHA or workers’ comp laws. I’m more interested in what might happen if other patients become sick. Hospital-acquired infection cases are not novel; they’ve been tried for decades. The general consensus of plaintiffs’ lawyers is that they are difficult but not impossible to win. That difficulty only increases with the publication of comprehensive Ebola treatment guidelines by the Centers for Disease Control and Prevention (assuming hospitals follow them, of course). But “difficult” is not “impossible.” And, even setting aside liability concerns, hospitals and other health care facilities understandably may be reluctant to expose their health care workers to Ebola patients. One way to address this concern is to systematically transfer patients to specialized care facilities designed to contain Ebola and similar viruses – and indeed, it appears that the federal government already is going down that road. But if the crisis grows, there is no guarantee that beds will be available in those bio-containment units, and in any event, a transfer takes time, and it is likely that an Ebola patient will require on-site treatment for hours or days before the patient can be transferred. That’s the important point to note. Treatment will be required. Hospitals cannot just isolate patients and wait – without treating them – until they can be transferred, or they die (if no transfer is available). If nothing else, as the victim’s family’s potential lawsuit shows, hospitals are at risk of being sued for malpractice if they fail to provide adequate care. So a facility is going to have to balance the competing obligations of minimizing contact between the Ebola patient and health care workers and providing a sufficient level of care. What is the proper balance on that score? I’m afraid I don’t have a good answer, probably because there isn’t one. 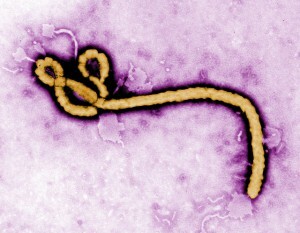 A lot of it will have to do with how many new patients present with Ebola, and what their acuity levels are. But health care facilities need to recognize that it’s a “damned if you do, and damned if you don’t” situation. If nothing else, it’s probably advisable for hospitals to start thinking now about how they will respond to that unenviable dilemma.